This was taken on my first day in Oregon for vacation. It was not only the nicest day that they had all year but the only day that I saw sun during my vacation. 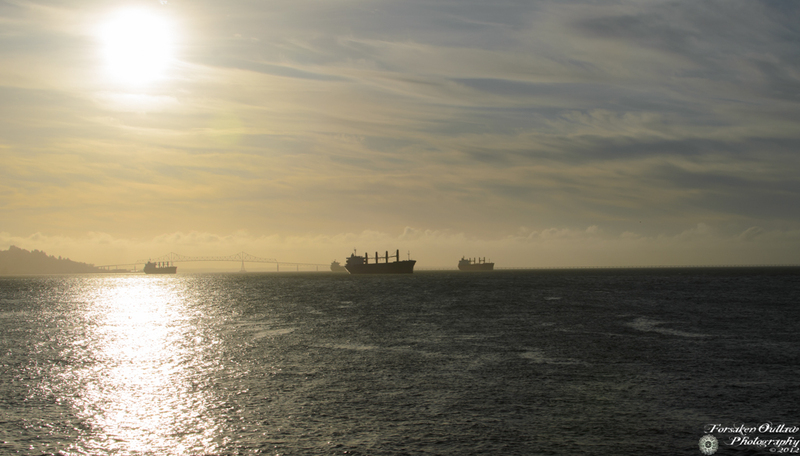 It was taken from a pier during sunset with the ships silhouetted against the background. It remains one of my favorite photographs to date.